This week's sketch challenge is being hosted by Martha Bickford. The sketch and beautiful sample card were created by the fabulous Ali Manning. To see more of Ali's beautiful artwork, please visit her blog, Art Ali. Thank you, Ali, for sharing both the sketch and sample card! 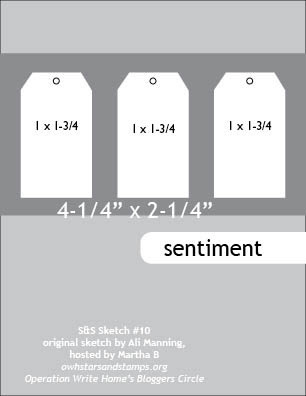 To assist you with making the tags used on this weeks sketch, Martha has created a tag tutorial to show you a quick and easy way to make a tag template. 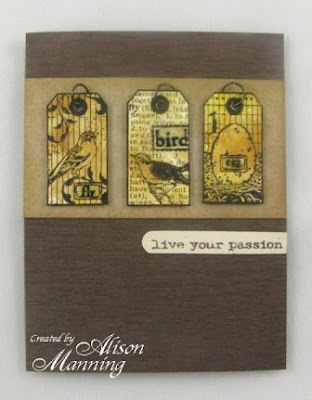 To make this quick and easy tag template first cut a 1 1/8" by 1 3/4" piece of cardstock. Next, fold the piece of cardstock in half. Using a ruler, trace a line along the top outside corner then cut it out using a pair of scissors. Unfold the piece of cardstock and your tag template is complete. 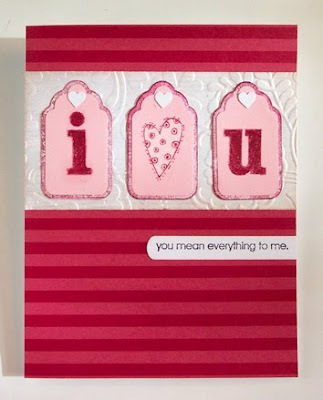 To use your template simply place over a piece of cardstock or patterned paper and trace around the tag template then cut out the tag, embellish and attach to your card. To further inspire you, Martha has created some gorgeous cards to show you some fun variations for making tags. 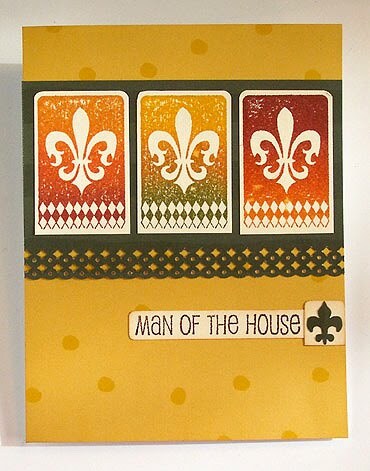 Here are Martha's sample cards, and you can see more of her work on her blog, Peachy Papercrafting. Thank you, Martha, for the awesome tag template and beautiful sample cards! Beautiful samples and great sketch! Thanks so much!! I like the sketch! I changed it so my sentiment's on the middle tag. Triple tag idea was fun to do! I didn't use a sentiment, but will be using this sketch for other cards, for sure! Love the simplicity of the tag making directions! Great sketch. I love tags but seldom manage to incorporate them in my designs. Thanks for the inspiration Ali. Great sketch challenge! The tags were a lot of fun to create. Ali you already know I love this sketch! I even made another card using it today, lol. I'm loving seeing all the cool cards that are being shared. 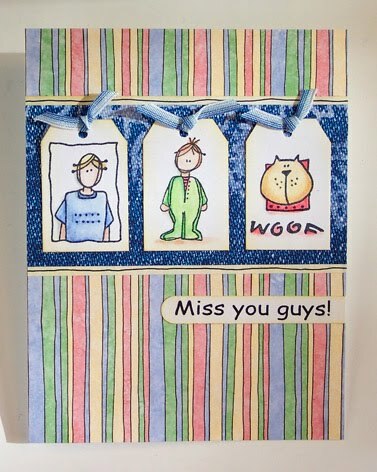 This was lots of fun as I very rarely use tags on my cards...I should as they are so cute! Love this challenge; nice sketch! Great Sketch!! I had to give it a try! Hiya! Here are my cards!! I love tags...so this was a very fun and easy challenge...have a stampin' good day. Great sketch! Thanks for inspiring. I just posted this one today. Lovely sketch! I used it for a purple birthday card. Check it out at my blog! Thanks for the super inspiring sketch!